Chamomile is an ancient herb rich in volatile herbs and used for all ages. German Chamomile and Roman Chamomile have both been used interchangeably though the two vary slightly. Ideal for babies and kids, Chamomile is calming to the nervous system for all ages. Used for earaches, as ice cubes for teething, for pain and generally for whinny kids. Chamomile is bitter and therefore relieving to tension and pain in the digestive system, stomach and intestines. Also used for menstrual cramps and in general for mental and physical tension and spasms. Ideal for any condition where heat and irritation meets spasm. And of course, chamomile is one of the most popular teas used to calm the nervous system before bed. Chamomile is a delicious and popular tea. A long steeped tea brings out the bitter qualities of chamomile, therefore indicated for digestive upset. Whereas a short steep tea is more soothing and calming. Enjoy chamomile tea before bed, great for all ages. Pairs well with oats, lemon balm and other aromatic and soothing nervines. Chamomile may also be used as a tincture or a delicious glycerine perfect for kids. Also used topically. 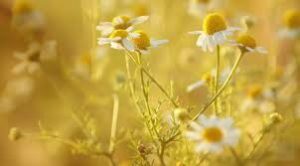 Infuse chamomile into oil to be used as a soothing rub before or after a hot shower or bath or made into a salve or lotion to calm irritated skin, burns, itchy skin, etc. Chamomile can also be used as hydrotherapy in a sitz bath, as an eye wash, compress or steam inhalation. Cautions/Contraindications: A few people are allergic to chamomile. Take caution with high doses during pregnancy.